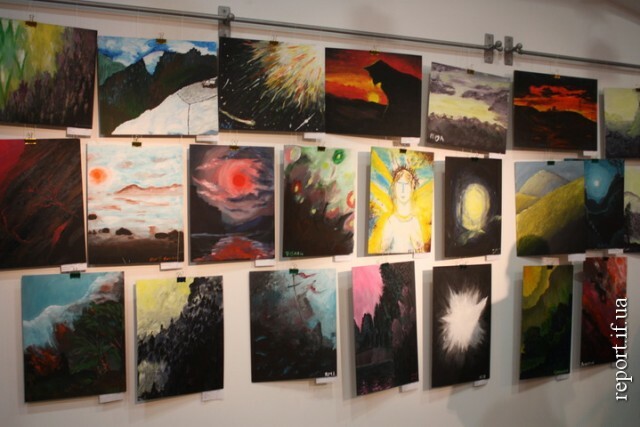 An exhibition marathon of the rehabilitation project “Travels of Creative Kriivka. Creative kilometres” is held on November 22-24th in Kharkiv. 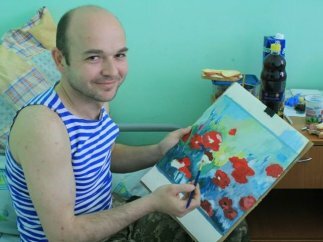 The residents of the city could not only admire the works of the ATO military men, which they drew during the creative rehabilitation, and also purchase favorite paintings. The exhibition took place in the premises of the Kharkiv Automobile and Transport College, as Kharkiv crisis information center reported. One of the project activities is crossing exhibitions of works of the soldiers who have passed the rehabilitation. Volunteers also conduct master classes in hospitals, picnics in botanical gardens, creative meetings, work with families of the ATO fighters. “Some of the paintings were not presented because we have already sold them. We usually carry out “silent” auctions. The price of the ATO soldiers’ paintings begins from 400 UAH, some paintings were sold for 10 thousand hryvnias. The collected money will help to continue the rehabilitation project,” the initiators said. “Nobody is eager to go to rehabilitation centers, as everyone wants to avoid psychologists‘ questioning. However, the atmosphere of Creative Kriivka project is amazing. Not only ex-militaries participate this rehabilitation, but also those who continue to serve in ​​the ATO area. The men, who passed Ilovaysk and Debalcevo, made dumplings and drew pictures. You should have been there to see it. Such a project values its efforts,” the Major of the 92nd separate mechanized brigade, Theodore Shevchenko, shared his impressions.